A recent study by e-mail service provider Mailchimp indicates that purchased, rented or scraped e-mail lists offer no return on investment for marketers. Most of the popular e-mail service providers maintain strict policies against sending e-mails to users that have not opted in to receive messaging. Beyond the obvious legal reasons to avoid this practice, e-mails sent to purchased lists have miniscule open rates and sky-high unsubscribe rates. In short, spam does nothing to help your business (and has many negative ramifications). Just don’t do it. The race to capture marketers’ mobile dollars is in high gear as Yahoo allegedly purchased mobile analytics firm Flurry today, according to TechCrunch and MarketWatch. As written on Flurry’s website, “Flurry Analytics is the industry standard in mobile, and provides more than 170,000 developers the business data they need to understand their audience, usage and performance. These recent moves are part of each company’s effort to increase offerings in the mobile advertising space. An estimated 1.75 billion people will use Smartphones in 2014, with usage growing every day. 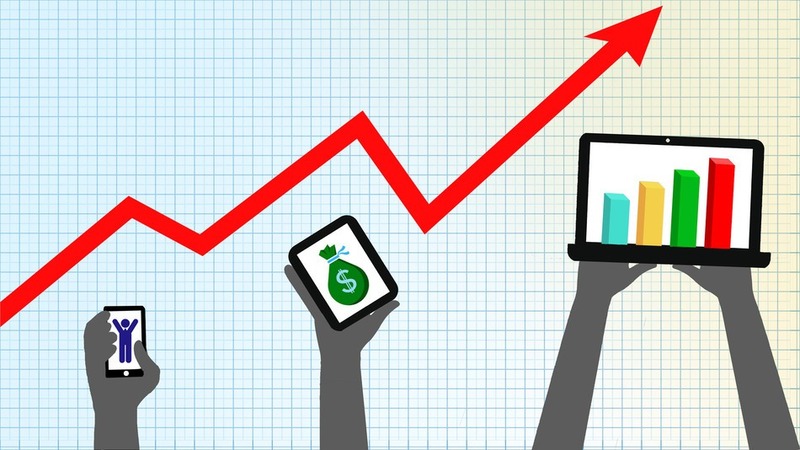 Mobile ad market spend will hit $18 billion this year. Everybody wants a piece of that pie, and a majority slice to boot. 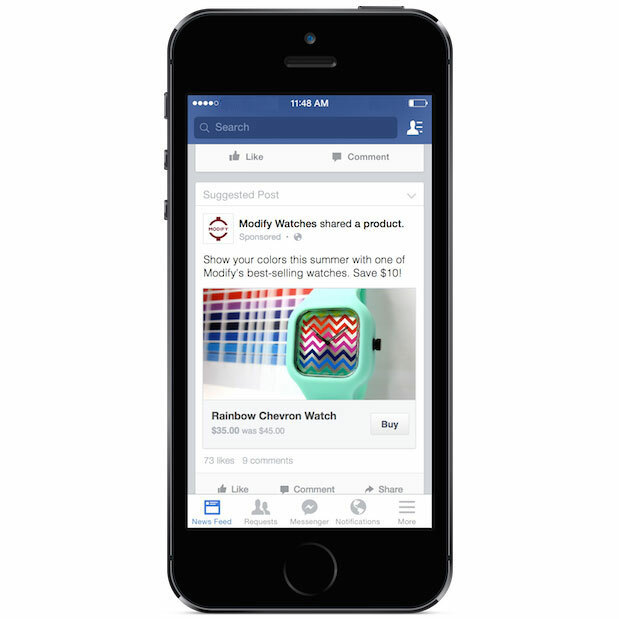 Facebook announced yesterday it’s testing a new “buy” button available to advertisers via ads on News Feed and Pages. This will allow consumers to make online purchases directly within Facebook, with the option for Facebook to store a user’s credit card information for future use. The new feature brings Facebook closer to a head-to-head competition with e-commerce giant Amazon. Currently, the buy button on Facebook is limited to select small and medium-sized businesses in the US. Before this announcement, Facebook allowed for payments via third party apps. In related news, Twitter is also edging into the e-commerce space with its purchase of CardSpring, which allows users to claim coupons or special deals via Tweets. In May, Twitter announced a partnership with Amazon that allows users to add items to their Amazon shopping cart using Twitter hashtags. Is Predictive Targeting the Way of the Future? Most digital marketers are familiar with the term “retargeting,” a tactic that allows us to show ads to individuals who have visited our website or exist already in our database. Retargeting can be done through display ads on Google, Yahoo and Bing as well as on Facebook via Facebook Exchange or Custom Audiences. Retargeting can be particularly effective, if not creepy, for prospective customers in the e-commerce world. Many of us have had the experience where we placed a pair of shoes in our virtual shopping cart, then abandoned the site, only to see that exact pair of shoes following us across the web for weeks. Goodwin also claims that Paid Search, while it is the only opportunity to address people at their moment of need, will be trumped by “converting needs we don’t yet know we have.” Enter: predictive advertising, or pretargeting. Some ad companies are already taking advantage of new technology that enables predictive targeting. ViralHeat provides “sophisticated predictive social analytics” to uncover users who are mentioning a brand in real-time. Nugg.ad used various data sources, both internal e.g. surfing behavior on publisher client’s site, as well external data to develop statistical models of a target audience group. Yes, I would like to continue to have advertising relevant to my interests displayed and I consent to theme-based analysis of my surfing habits by nugg.ad. This consent is restricted to one year (“Opt-In“). No, I do not want nugg-ad to continue theme-based analysis of my surfing habits on websites. This Opt-Out is stored as a cookie in my browser and has a lifespan of ten years. The user is responsible for ensuring that the appropriate cookie is not deleted from his browser as long as he wishes the Opt-Out to be valid. The (“Opt-Out“) is stored in a cookie with the name “nuggstopp“. The argument is that most consumers will want to share information in order to see more relevant ads. But the consumer consensus on this has yet to be seen. Twitter recently rolled out a new analytics feature that allows advertisers to see engagement metrics for organic Tweets. For the first time, advertisers will be able to see how many times users have viewed and engaged with organic Tweets, so that they can more effectively optimize their content strategy. The Tweet activity dashboard is now available to all advertisers, Twitter Card publishers, and verified users around the world. Compare impressions (times a Tweet is viewed by anyone on Twitter web and Android or iOS apps, including logged-out users), total engagements and Retweets month over month. 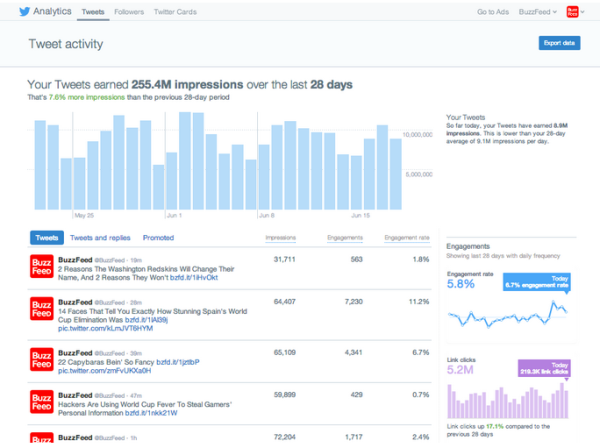 Only advertisers, Twitter card publishers and verified users have access to the Twitter analytics dashboard. 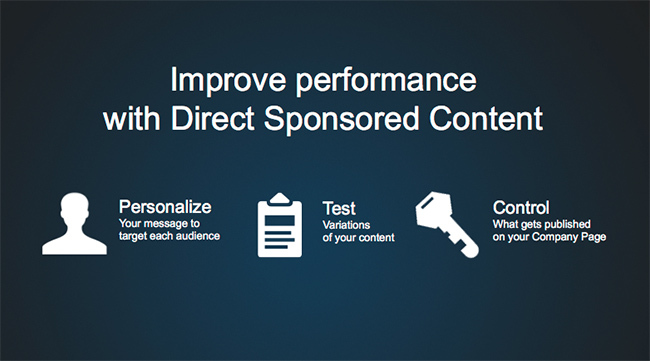 Previously, impressions and engagement data on the dashboard was limited to Promoted Tweets. In recent months, Twitter has rolled out several new features to complete with advertising giants Facebook and Google. In April 2014, Twitter reported that it beat its ad revenue expectations for Q1 with an estimated 119% increase year over year. However, Twitter is still playing catch-up with its competitors, as its new organic Tweet feature is similar to a feature already offered by Facebook for some time. With new insight into organic Tweets, a challenge for marketers has become apparent. MarketingLand.com’s Danny Sullivan reports that, “Just like Facebook, what you share on Twitter isn’t seen by all your followers.” Marketers’ frustration about Facebook’s algorithm may now spill over into Twitter campaigns, as well. Organic reach on Facebook has fallen in recent months, leading to frustration for marketers who have come to rely on that mass reach of organic Facebook content. Only time will tell how Twitter will face the same criticism. Content marketing has reinvigorated brands and the agencies that manage their communication with consumers. Marketers are are increasingly shifting budgets from traditional marketing efforts to content, and the Content Marketing Institute reported 90% of B2C marketers use content marketing in 2014, compared to 86% last year. Mr. Jutkowitz says content marketing has taken off because it “responds to consumer preference.” Consumers are more likely to engage with content than with traditional marketing messaging. Increasingly, consumers gravitate away from “Buy now” and “Click here” or product benefits messaging, so these tactics have become less effective. Today’s sophisticated consumers prefer content — text, video or image — that resonates with them. Thinking about the daily habits of consumers and the competition for their attention, the shift to content marketing makes perfect sense. 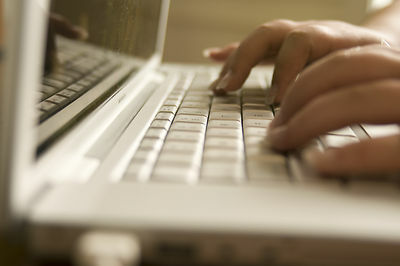 Consumers are surfing the web on computers, chatting with friends on Smartphones and streaming TV on iPads. People are inundated with an infinite number of things to watch, read and engage with across the web. Brands are not just competing with each other anymore, they are also competing with the influx of YouTube videos, Facebook feeds and iPhone apps that steal the attention of prospective customers. He makes a great point. The ability to communicate ideas, not just product benefits, is a new world for brands of every shape and size. The trick is finding a way to do this authentically, with content that ties back to the organization’s bottom line. Read Mr. Jutkowitz’s full post from July 1st 2014 on the HBR Blog Network.